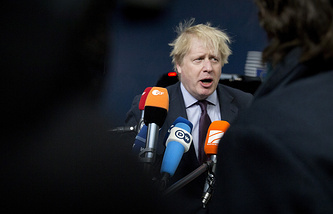 Boris Johnson’s statement as unacceptable and irresponsible, in which he compared the forthcoming Russia-hosted FIFA World Cup to the 1936 Olympic Games in Nazi Germany. LONDON, March 22. /TASS/. 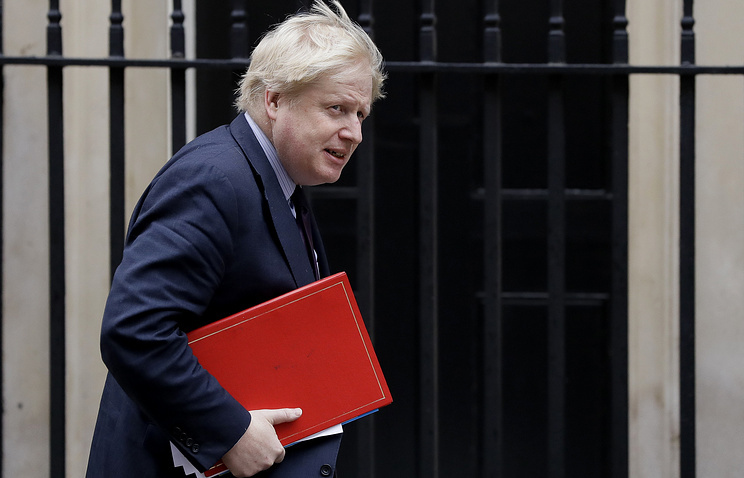 Russian Ambassador to the UK Alexander Yakovenko has slammed British Foreign Secretary Boris Johnson’s statement as unacceptable and irresponsible, in which he compared the forthcoming Russia-hosted FIFA World Cup to the 1936 Olympic Games in Nazi Germany. «Moscow believes that a foreign minister is not in a position to make such unacceptable and totally irresponsible statements. No one has the right to insult the Russian people, who defeated Nazism and sacrificed more than 25 million lives in that fight, by comparing our country to Nazi Germany,» the ambassador said at a press conference in London on Thursday. «It is beyond reason and we do not think that British war veterans, including those who participated in the Arctic Convoys, share this view,» Yakovenko added. British Prime Minister Theresa May earlier announced that none of the British cabinet or the royal family would attend the World Cup following the poisoning of former Russian military intelligence (GRU) Colonel Sergei Skripal and his daughter Yulia in Salisbury, UK on March 4. By the same token, Johnson agreed that it would be right to compare the upcoming Russia-hosted FIFA World Cup to the 1936 Olympics in Nazi Germany. «I think the comparison with 1936 is certainly right and frankly, I think it is an emetic prospect to think of Putin glorying in this sporting event,» he said. The 2018 FIFA World Cup will be held between June 14 and July 15, 2018, in 11 Russian cities – Moscow, St. Petersburg, Kazan, Nizhny Novgorod, Saransk, Kaliningrad, Volgograd, Yekaterinburg, Samara, Sochi and Rostov-on-Don. England is in group G alongside Belgium, Panama and Tunisia. Auschwitz. En israelsk statsborger fornærmet ofrenees minnesmerke ved og urinere på.